Have you ever fallen deeply in love with a song? I think we all have at some point in our lives. I’ve been head-over heels in love with “So High” by Guided By Voices for months now. It’s not on any of their albums, but rather was released as a B-side to the “Doughnut For A Snowman” single. I found it one day while trolling around on Spotify, as I often do to kill time. GBV is one of my all-time favorite bands, so it shouldn’t come as too big a surprise that I feel so strongly about one of their songs…but my love for“So High” feels strange because the song is less than one minute long. If you know anything about lead singer/songwriter Robert Pollard, you know that length is not one of his strengths. His tunes, which are catchy as hell, are nearly always tragically too short. In fact, the rather tossed off, unfinished nature of the band’s songs is probably the #1 reason they’re not a household name. 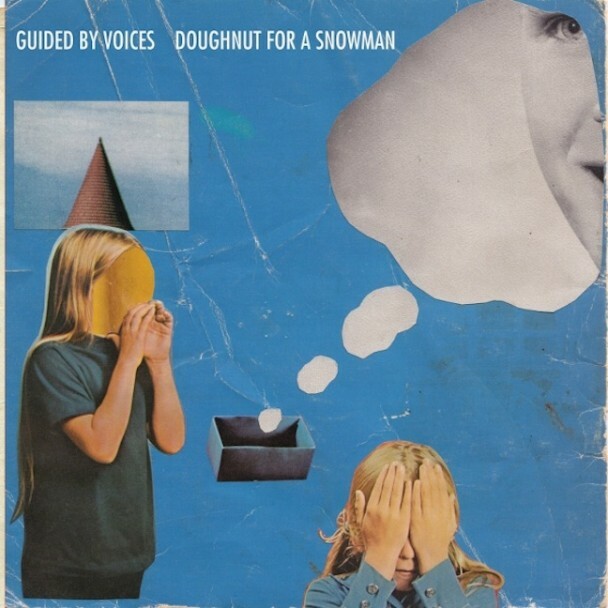 The A-side of the single, “Doughnut For A Snowman,” appears on the band’s first comeback album LET’S GO EAT THE FACTORY, which came out earlier this year (side note: can you believe has put out 3 awesome albums this year?). That song begins with a gradual fade-in of what is actually the tail end of “So High.” For whatever reason, “So High” didn’t make it onto the album. The song seems to be related to “Doughnut For A Snowman,” so why was it left off the record? These are the questions that keep me up at night. Anyway, maybe it’s my love of cast-off, discarded things, but strange fact that a (very) small part of the song is on the record really piqued my interest. So I listened to “So High” probably 10 times in a row, and before I realized it: I was in love with it. The song has a cozy, campfire feel. I love the cheap, plastic recorder/flute in the song, I think it’s adorable. The lyrics, while nonsensical are also very charming and full of warmth. As you’re hearing it, the song seems to be about something, something really philosophical and important. But it’s not. Which is pretty funny because that’s kinda what it’s like to actually be so high. Dashed off in under a minute, Pollard’s “So High” is like a short hug from a long lost friend I never knew I always missed. The song is like roasting marshmallows on the banks of a glow-in-the-dark lake with your best friend while John Lennon drunkenly plays you an unfinished Beatles song. It’s chocolate cake on the beach. It’s probably my favorite song of 2012. It’s 43-seconds long.